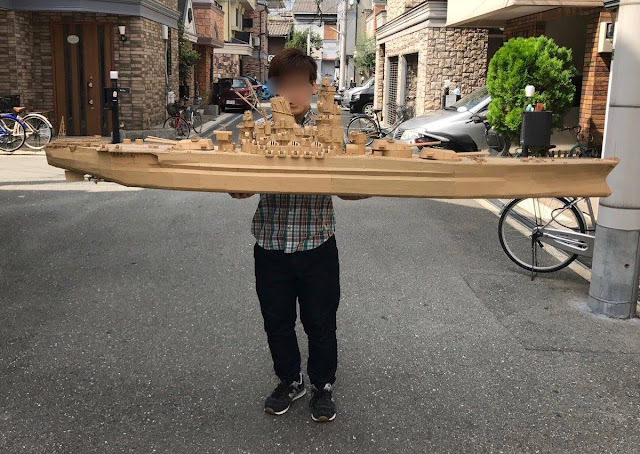 Dave's Model Workshop: An awesome 2.5 metre long cardboard model of the battleship "Yamato"
An awesome 2.5 metre long cardboard model of the battleship "Yamato"
I love it when my preconceived ideas about scale models are challenged. In my head, scale models are plastic generally in one of several established scales, and the art is in building and painting and weathering to make your version as realistic as possible. When I encounter something impressive that is outside of these boundaries, my mind is officially blown. 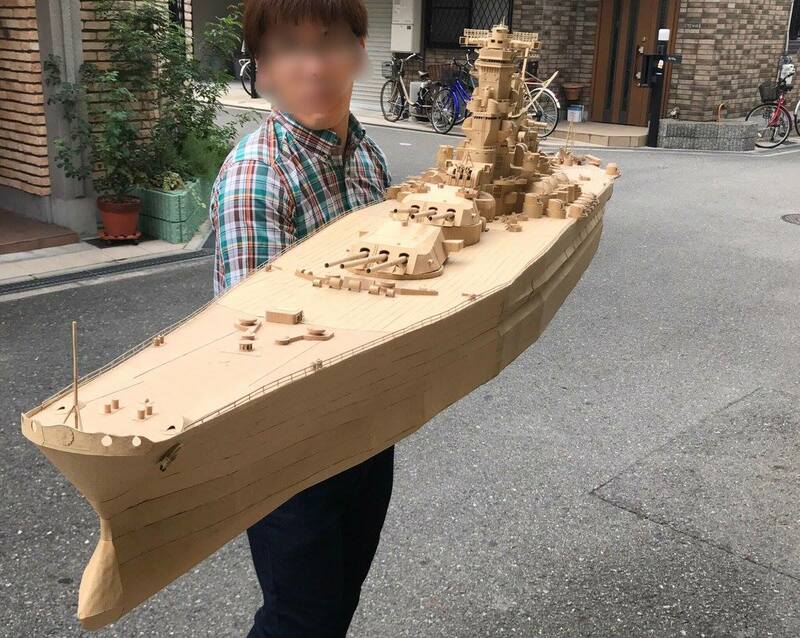 So when I found this tweet about a cardboard battleship model, I was in heaven. "I did not have any money so I made a battleship Yamato with cardboard and Bond sharply. I think that the total length was about 2.5 m and the cardboard was about 50 to 80 big sheets." And here are the photos. Wow. Just wow. 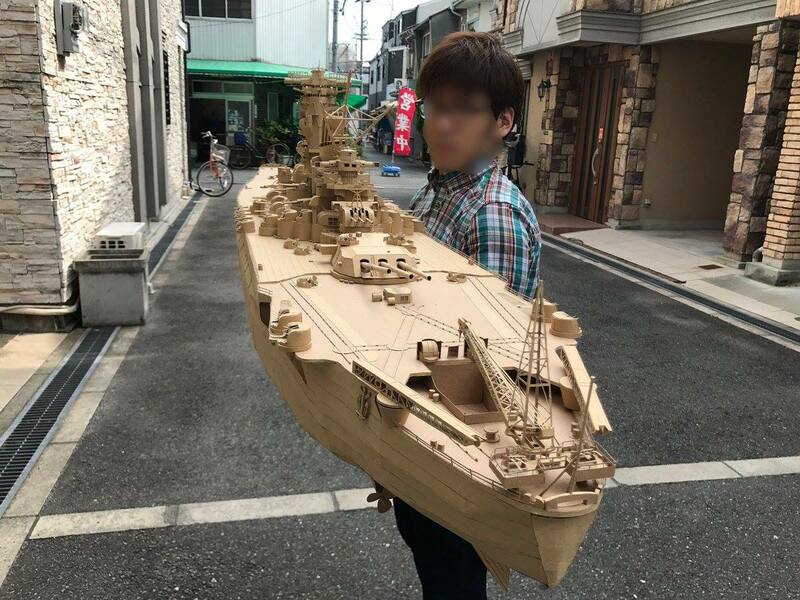 Pictured: Ohmigawd, did you really make that out of cardboard??? How great is that?!?! I would never even consider making a model of a battleship in cardboard, and while there are some slight compromises when it comes to curves on the hull, you can't be anything but impressed with the result. And the coolest thing is that this is just one guy's obsession, one guy's passion. He wanted a really, really big replica of the "Yamato", and it wasn't commercially available, so he did it himself. 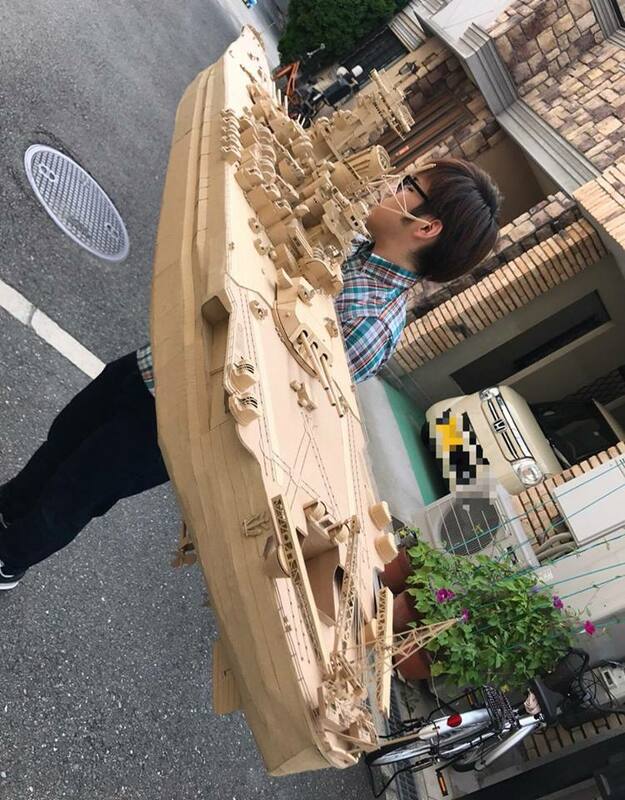 He didn't have lots of money to throw at it, so he made it out of cardboard. I love cost saving measures like that! And the beauty of his creation, what sets it apart from every other "Yamato" model, isn't the weathering or a trick paintjob, it is the self-evident passion that went into the build. I tip my hat to OrcamanS! 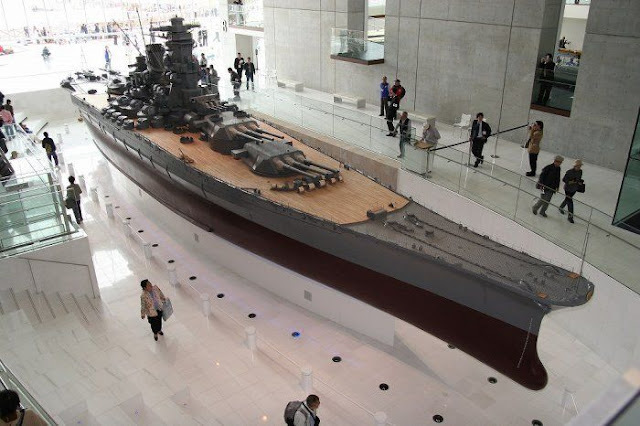 That is a very big model. Source. Here's to insane people who scratch build really, really big models. I love your crazy ideas. Damit, this really looks good. Thank you for posting an article about it. The other day,I uploaded a video which is about making process of it on youtube.